Engineering VS Medicine - Branches, Scope, Personal Life, Image and etc. Engineering VS Medicine – Branches, Scope, Personal Life, Image and etc. Choosing the best course to study and to settle in a career is a crucial part of every student’s life. 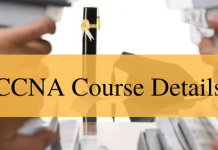 If any student finds their area of interest it will be an easier way to find their career course to study. Many of the students were in dilemma to choose the course to pursue. Parents, Friends, Neighbors, Relatives, Well-wishers usually suggests to students up to their knowledge. Engineering VS Medicine mainly. 4 Why choose to engineer? 8 Why choosing medicine to medical Doctor? Here we are looking at the two most popular career fields – Engineering and Medicine, not just in India but all over the world. So if you are the one who is confused whether to pursue engineering (JEE) or medicine (NEET), this post tries to help you in choosing a suitable career option. An engineering-based education allows you exposure to various technical subjects and skill sets. 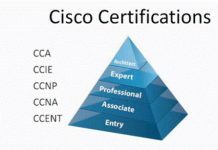 You will be able to develop skills that are transferable to most industries such as problem-solving, decision making, innovation, project management, team working and communication. Engineering is the application of scientific, economic, social, and practical knowledge in order to design, build, and maintain structures, machines, devices, systems, materials, and processes. To discover, update effectively and cut down cost without compromising the quality through this engineering methods. Engineering requires a lot of practical thinking and a good IQ level. Interested students need to have the clear understanding of the fundamentals of practice. For joining in Engineering Course one needs to complete their 11th and 12th intermediate successfully with main subjects of Mathematics, Physics, and chemistry. And need to clear the entrance exams like EAMCET, IIT-JEE and etc. Students can choose any branch of their interest from more than 200 branches. Course availability may vary from place to place. If a particular student the course name engineering the can exposure to various technical subjects and skill sets. They will be able to develop skills that are transferable to most industries such as problem-solving, decision making, innovation, project management, team working and communication. We can say that Engineering is a creative profession. We are in a time of rapid social and technological changes, the need for engineers to think creatively is greater now than ever before. This Engineering course is a lucrative career. Record high packages to IITians is one example. NITians and IIITians also receive attractive packages. Interested Students need to clear JEE to enter into these prestigious institutes. Engineer in that name itself is having some pride. A person who is getting into good jobs in MNC’s is named as successful engineers. Then only they can get respect from others. Up to then, they are just individuals. You may or may not get a chance to work directly for the welfare of the people. Chances are less. But let me tell you any social service is worthy of respect and honor. It is all fun & pleasure, chilling and doesn’t have to be under a Damocles sword all the time. You know your negligence or failure won’t be taking a life. Besides engineering life is very enjoyable. You can give time to your family. You will be capable of earning early of an age. 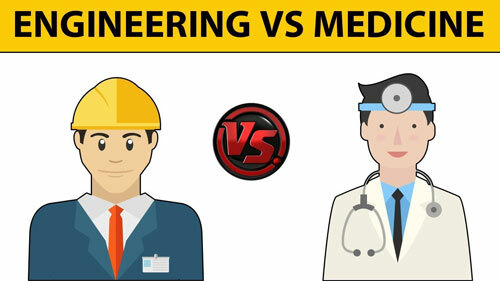 This is all information about Engineering in Engineering VS Medicine differences. A doctor is a professional who practices medicine and is concerned with promoting, maintaining or restoring human health through the study, diagnosis, and treatment of disease, injury, and other physical and mental disabilities. Giving treatment for common fever or to a lightly injured person is normal roles and responsibilities of a doctor. Complexity comes when a doctor makes surgeries related to brain, heart and etc. Medicine course is a practice course. For each and every part of the body, there are special doctors and having their specialization came by practice. Doctors need complete knowledge in theory and as well as in practice. In India, medical Education is monitored by MCI (The Medical Council of India). The total course period of MBBS is 4 and half years which is 54 months. And it is followed by one year of compulsory rotating Residential Internship. It is tough to get a seat in medical college since a number of medical seats in colleges are less in number. Interested students need to choose Bi.P.C group in their 11th and 12th. With main subjects of Physics, Chemistry, and Biology. And students have to clear the NEET entrance exam for joining in MBBS in medical colleges. Why choosing medicine to medical Doctor? The main reason for studying medicine by many of the students is their ambition to become a doctor. Some are having social Behaviour to serve people. And etc. Medicine is an exciting and fascinating field. We can that in this medicine there are fewer chances of UNemployment. The best training is given to the medical students by the authorities. They teach how to treat, How to think, How to solve problems, Hoe to cure diseases and injuries and etc. Candidates who are ready to risk, learn, serve, cure etc. all these things and loves to treat people and get their worrying’s cure can only become a Doctor and become other forms of GODS to patients. You are just another form of GOD there is no second thought among people. You can do a lot of social welfare work. You will be in the good thinking of almost all of the people.Respect will follow you every day everywhere. There is no doubt about it. We can say that being doctor is a painful, hectic and stressful profession. As a doctor, you are saving others’ lives who are in death beds. And fight to the death. You make your heart and soul very strong. You sacrifice your fun time with family and find pleasure in being a doctor by watching your patient’s smiles by treating, Curing, Operating and etc. As for the money, you will start earning at a later age and can keep earning until your old age. To become a Professional doctor you must be hard-working, Studios, Ambitious, Diligent and etc. This is all information about Medicine part in Engineering VS Medicine. In this post, we are giving our review about the major courses Engineering and as well as Medicine Engineering VS Medicine. Just make a glance on our article and get an idea. 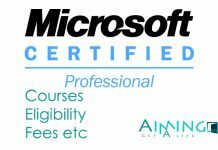 Choose the best course of your interest and settle your career in the best way.